Blair Milton joined the Chicago Symphony Orchestra in 1975 and four years later became a founding member of the Evanston Chamber Ensemble. As the founder of the Winter Chamber Music Festival, now in its 22nd season, he has performed with Daniel Barenboim, Gil Shaham, Menahem Pressler, Yo-Yo Ma, Pinchas Zukerman, Lynn Harrell, Arnold Steinhardt and Janos Starker, among others. He has appeared on the Ravinia Festival Chamber Music Series and Chicago Symphony Orchestra Artist Series, as soloist with the Chicago String Ensemble and the Chicago Symphony Orchestra, conducted by Sir Georg Solti. A member of Northwestern University’s violin faculty since 1984, Mr. Milton was director of the string program for Northwestern’s National High School Music Institute from 1998-2010. In 2011, he established the Summer Violin Institute, which is held each summer. He has given master classes across the United States as well as in South America, Germany, and Japan. A student of Josef Gingold at Indiana University, where he earned a master’s degree, Mr. Milton also studied with Ivan Galamian and former CSO concertmaster Sidney Harth. As an Associate Professor of violin at the University of Michigan School of Music, Theatre and Dance in Ann Arbor, Danielle Belen is already making a name for herself as a seasoned pedagogue with a strong studio of young artists. As part of the violin faculty at The Colburn School in Los Angeles, California, her students have won major prizes in national and international competitions including the Menuhin, Stulberg and Klein competitions, as well as being accepted into major conservatories and universities across the country. Winner of the 2008 Sphinx Competition, Ms. Belen has appeared as a soloist with major symphonies across the U.S., including the Pittsburgh, Atlanta, Nashville and San Francisco Symphonies, the Boston Pops, and the Florida and Cleveland Orchestras. Zachary Lewis from the Cleveland Plain Dealer wrote “Violinist Danielle Belen… captivated every ear with an assured, impassioned performance of Ravel’s “Tzigane,” knocking off the daunting showpiece as if it were a trifle.” She has recently enjoyed working with conductors such as Franz Welser-Mostt, Robert Spano, Keith Lockhart, Yehuda Gilad and Carl St. Clair. Ms. Belen released her debut Naxos recording of works by living composer Lawrence Dillon in 2009 to much acclaim. Soon after, she commissioned “Multiplicity”, a piece by Dillon for six virtuoso violins which was premiered along with her students at The Colburn School. A graduate of the USC Thornton School of Music and the Colburn Conservatory in Los Angeles, where she studied with Robert Lipsett, Ms. Belen joined the faculty of the Colburn School in 2008. In addition to maintaining her own violin studio, she was also the teaching assistant to Mr. Lipsett for over five years, working with talent of the highest caliber from around the world. Additionally, Ms. Belen served as the Director of the Ed and Mari Chamber Music Institute in the Colburn pre-college division. Ms. Belen frequently enjoys teaching master classes and leading community engagements across the country in conjunction with her professional performance appearances. Ms. Belen served as Concertmaster of the New West Symphony and performed as soloist with the orchestra numerous times. In 2010, Ms. Belen founded Center Stage Strings, a summer camp and performance festival for gifted young musicians in California. After gaining national attention, CSS has now moved to the campus of The University of Michigan in Ann Arbor. As Artistic Director and and violin faculty, she has attracted students and seasoned artists from around the world. Artists, including Lynn Harrell, James Ehnes, Arnold Steinhardt, Sarah Chang and Stefan Jackiw have joined to perform in support of Center Stage Strings. Ms. Belen plays on a violin made in Mantua, Italy by Stefano Scarampella. Ilya Kaler is one of the most outstanding personalities of the violin today, whose career ranges from that of a soloist and recording artist to chamber musician and professor. Mr. Kaler earned rave reviews for his solo appearances with such distinguished orchestras throughout the world as the Leningrad, Moscow and Dresden Philharmonic Orchestras, Montreal Symphony, Danish and Berlin Radio Orchestras, Moscow and Zurich Chamber Orchestras, as well as many of the major American orchestras. Kaler collaborated with a number of outstanding conductors such as Valery Gergiev, Dmitry Kitayenko, Mariss Jansons and Jerzy Semkow. His solo recitals have taken him throughout the five continents. Kaler also performed at many concert venues around the world as a member of The Tempest Trio with cellist Amit Peled and pianist Alon Goldstein. The trio had recently recorded their debut CD for Naxos record company which features complete set of piano trios by Antonin Dvorak. 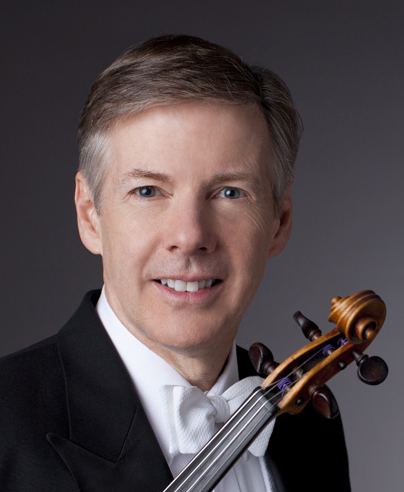 Kaler’s orchestral career includes guest Concertmaster appearances with the Philadelphia Orchestra, San Francisco Symphony, Pittsburg Symphony and Baltimore Symphony, as well as tours with the World Orchestra for Peace under the direction of Valery Gergiev. He held Concertmaster positions with the Rochester Philharmonic Orchestra, NY and the Lake Forest Symphony, IL. One of the most sought-after teachers in the world, Kaler was recently chosen to join the violin faculty of the Cleveland Institute of Music beginning in the fall of 2018. He currently serves as Professor of Violin at the DePaul University School of Music (Chicago, IL). Kaler previously held Professor of Violin positions at the Eastman School of Music (Rochester, NY) and at the Indiana University Jacobs School of Music (Bloomington, IN). Summer teaching and performing engagements include the Chautauqua Music Festival, Heifetz International Music Institute, International Violin Mastercourse at the Keshet Eilon Music Center, Bowdoin International Music Festival, and the Montreal Chamber Music Festival, amongst others. Kaler is also frequently invited as a judge to the world’s most prestigious violin competitions, including the International Tchaikovsky Competition (Moscow, Russia), Sibelius International Violin Competition (Helsinki, Finland), Henri Marteau International Competition (Germany), as well as the International Music Competition (Harbin, China). Ilya Kaler received his education at the Moscow Central Music School under Zinaida Gilels and at the Moscow State Conservatory under Leonid Kogan and Victor Tretyakov. Following his formal education, influence and inspiration came from his long-time mentor, violinist and teacher Abram Shtern. Kaler is a Gold Medal winner at three of the worlds prestigious international violin competitions: the Tchaikovsky Competition in Moscow (1986), the Sibelius Competition in Helsinki (1985), and the Paganini Competition in Genoa (1981). Mr. Kaler records exclusively for Naxos Records. His highly acclaimed albums include Sonatas by Schumann and Brahms, Concertos by Paganini, Shostakovich, Tchaikovsky, Brahms, Schumann, Dvorak, Glazunov, Szymanowski, Karlowicz, as well as Taneyev Suite, Bach Sonatas and Partitas for Violin Solo and Ysaye’s Six Sonatas for Violin Solo. Paul Kantor is the newly appointed Sallie Shepherd Perkins Professor of Violin at the Shepherd School of Rice University. For many years he held position of Distinguished Professor of Violin at CIM. A graduate of The Juilliard School, he studied violin with Dorothy DeLay and chamber music with Robert Mann. Mr. Kantor has performed as soloist with numerous symphony orchestras and was a member of the Berkshire Chamber Players and the New York, Lenox and New Haven string quartets. He has served as concertmaster of six ensembles, including the Aspen Chamber Symphony, New Haven Symphony and Lausanne Chamber Orchestra. In 1994 Mr. Kantor gave the world premiere of Dan Welcher’s Violin Concerto, commissioned by the Aspen Music Festival in honor of Dorothy DeLay. Mr. Kantor has presented master classes at the Eastman School of Music, Indiana University and the New World Symphony, among others. For several years he held concurrent appointments at the Yale University School of Music, New England Conservatory, Juilliard and the University of Michigan School of Music. Since 2008, Mr. Kantor has served as Artist-in-Residence at the Glenn Gould School. He has recorded for CRI, Mark Records, Delos and Equilibrium. Mr. Kantor has been an artist-faculty member of the Aspen Music Festival since 1980. Violinist I-Hao Lee’s active teaching career has culminated in notable achievements by his students – top prizes at the Queen Elisabeth, Young Concert Artists, Sarasate, Sion-Valais(Tibor Varga), Cooper, Postacchini International Competitions, an Avery Fisher Career Grant, and performances with major orchestras such as the Boston Symphony, Cleveland Orchestra, Detroit Symphony Orchestra, Houston Symphony, Orchestra of St. Luke’s and Mariinsky orchestra.Lee has given master classes throughout the U.S., China and Taiwan, and has taught violin and chamber music at Manhattanville College and the Great Mountains Music Festival and School. Born in Yilan, Taiwan, Lee received his Bachelor and Master of Music degrees from The Juilliard School, and his Doctor of Musical Arts from Stony Brook University. His major teachers include Dorothy DeLay and Hyo Kang. Currently, Lee is a faculty member at The Juilliard School, DePaul University,Music Institute of Chicago and Green Mountain Chamber Music Festival in Vermont. An artist deeply dedicated to the range of violin and chamber music repertoire, violinist Violaine Melançon serves on the violin and chamber music faculties of the Peabody Conservatory, and is Visiting Professor at the Schulich School of Music at McGill University. She was for thirty years the founding violinist of the Peabody Trio which was ensemble-in-residence at the Peabody Conservatory from 1987 to 2016. After winning the prestigious Naumburg Chamber Music Award in 1989, the Peabody Trio established itself as an important presence in the chamber music world as vivid interpreters of the classics of the repertoire, advocates for new music, and dedicated teachers and mentors to a generation of young musicians. As a member of the Peabody Trio, Ms. Melançon gave a New York debut in 1990 at Alice Tully Hall and has performed in the most important chamber music series in North America, including New York, Washington, DC, Chicago, Denver, Vancouver, Montreal, Seattle, San Francisco, Los Angeles, San Diego, Indianapolis, Dallas, Honolulu, Memphis, Minneapolis, New Orleans, Portland, St. Louis, Boston and Philadelphia. With them, Ms. Melançon toured internationally, frequently performing in England, making repeat appearances at London’s Wigmore Hall, and in Japan and Israel.She has a special affection for the music of today and is a serious interpreter of works of Gyorgy Kurtag, Mauricio Kagel and Zhou Long. The Israeli composer Shulamit Ran wrote a violin concerto for her and she has premiered several works by other leading composers. Among the artists with whom she enjoys collaborating are pianists Leon Fleisher, Gilbert Kalish and Peter Frankl, soprano Phyllis Bryn-Julson, and violist Roger Tapping.During the spring of 2012, she presented the complete works for solo violin by J.S. Bach. She performs recitals annually, exploring unusual gems of the solo and violin-piano duo repertoire. Ms. Melançon is from Québec, Canada. After receiving First Prize in violin at the Conservatoire de Musique, she continued her studies with Ivan Galamian at the Curtis Institute of Music, with Isadore Tinkleman at the San Francisco Conservatory and with Arthur Grumiaux in Belgium. While at Curtis, she was a member of the Nisaika Quartet, prize winner of the 8th International String Quartet competition in Evian, France. Ms. Melançon is also the recipient of many awards for solo performance including the 1984 Prix d’Europe. In 1983, she formed the Knopp-Melançon Duo, an artistic collaboration which would eventually expand to become the Peabody Trio. In 1987, as a result of having been appointed USIA Artistic Ambassadors, the duo toured abroad extensively and made their Washington, DC debut at the Kennedy Center. Since then, her activities as a chamber musician, soloist with orchestras, and teacher have taken her to major music centers in the United States, Canada, Europe, the Middle East, and Japan.She has participated in many summer festivals as violinist, teacher and guest artists, including those of Tanglewood, Ravinia, Skaneateles, Rockport, Orford, and Domaine Forget. She gives yearly masterclasses at the Green Mountain Chamber Music Festival, and teaches regularly at NOI, the National Orchestral Institute and Festival. For many years, she has served on the faculty of Yellow Barn (www.yellowbarn.org), an international gathering of artists who meet each summer to explore the vast riches of the chamber music repertoire. Violaine Melançon’s performances can be heard on the Naxos, Artek, CRI, and New World Records labels. violin at the Eastman School of Music. He records for the EMI and RCA labels, having released several concerto CDs; his RCA recordings include the Brahms Violin Concerto and Double Concerto, the Tchaikovsky Violin Concerto with the Radio Orchestras of Hannover and Berlin as well as the violin sonatas of Beethoven and Brahms. Ribeiro has earned high acclaim for his tours of the former Soviet Union, South America and China. He joined the Meadowmount School of Music faculty the summer of 2004, and has served as artistic director of the International Chamber Music Institute in Munich and has performed at the Marlboro and Lucerne International Music Festivals. Mr. Ribeiro is also on the faculties of Midwest Young Artists and Music Institute of Chicago. He is currently Co-Chair of the Department of Music Performance at Northwestern University and Coordinator of the Strings. nal beauty of her playing. Lauded in the The New York Times for her “melting tone” and “wonderfully supple approach to phrasing,” Ms. Robert carries on the great violin tradition of her teacher, the legendary Josef Gingold. A prize winner of the First Joseph Joachim International Violin Competition in Austria, Ms. Robert has appeared as recitalist and chamber musician throughout the U.S., Canada, Europe and the Far East. She has performed over thirty different works as violin soloist with major orchestras throughout North America. Ms. Robert has also collaborated in chamber music with artists such as Menahem Pressler, Richard Goode, Claude Frank, Philippe Entremont and Isidore Cohen. As a recording artist, she has performed for National Public Radio, the CBC Radio Network, Radio Canada, and Radio France, and received critical acclaim for her recording of violin sonatas by Fauré and Saint-Saëns with her husband and duo partner, pianist Jeffrey Cohen. An active participant in the summer music festival scene, Ms. Robert has been a guest artist or faculty member at festivals such as Bowdoin, the American Conservatoire at Fontainebleau, Meadowmount, Musicorda, Waterloo, Busan Music Festival, Hida-Takayama Festival, the Violin Institute at the Bienen School of Music, and the Texas Music Festival. She is currently on the faculties of the Orford Music Academy in Quebec and the MusicAlp Academy in France. Highly sought after as a violin pedagogue, Ms. Robert has served as violin professor for over thirty years at the Manhattan School of Music and the Mannes College of Music in New York City. She has given master classes throughout the world at prestigious institutions such as Seoul National University, Korea National University of the Arts, Central Conservatory of Music, Shanghai Conservatory of Music, Tokyo College of Music, Yong Siew Toh Conservatory, Oberlin Conservatory, Sibelius Academy, Norwegian Academy of Music, the Glenn Gould School and the Conservatoire de Musique de Montreal. In the past several years, Ms. Robert has given lectures on violin technique and her teaching philosophy and is a frequent contributor to “The Violin Channel.” Her students have won prizes in major international competitions including the Indianapolis, Young Concert Artists, Paganini, Sendai, China, Seoul and Szigeti International Violin Competitions. Ms. Robert has served as an adjudicator for several international competitions including the Montreal, Fritz Kreisler, Jozsef Szigeti, Seoul and Joseph Joachim international violin competitions. Ms. Robert is the artistic director of “Mannes in Unison,” a concert series in New York City.